From lift, to practice, to meetings, to games, student-athletes are hardly ever without their teammates. 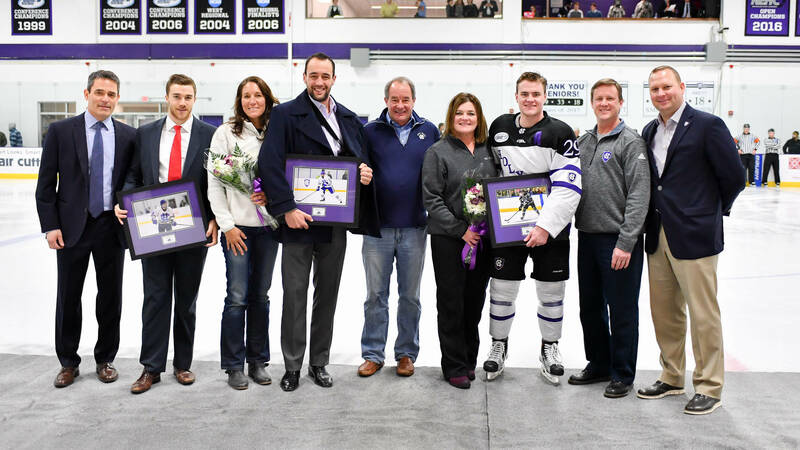 Senior assistant hockey captain Mike Barrett does not mind though because his teammates are also his best friends. “You never get sick of them,” said Barrett. Throughout his career, Barrett has played in 145 games and scored 43 goals, while tallying 55 assists for 98 points. When looking back over his four years though, Barrett can confidently say that he could not have had the same success without the help of his teammates. 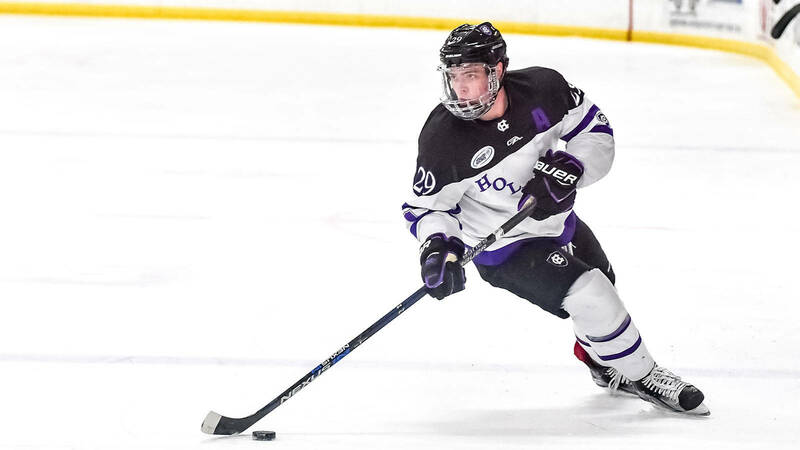 Members of the Holy Cross hockey team return to campus in the middle of August, and oftentimes do not have the opportunity to go home until after the hockey season is over in the spring. For this reason, the team becomes its own family while on Mount St. James. Though Barrett does not yet know exactly where he will be next year, he is sure of one thing. 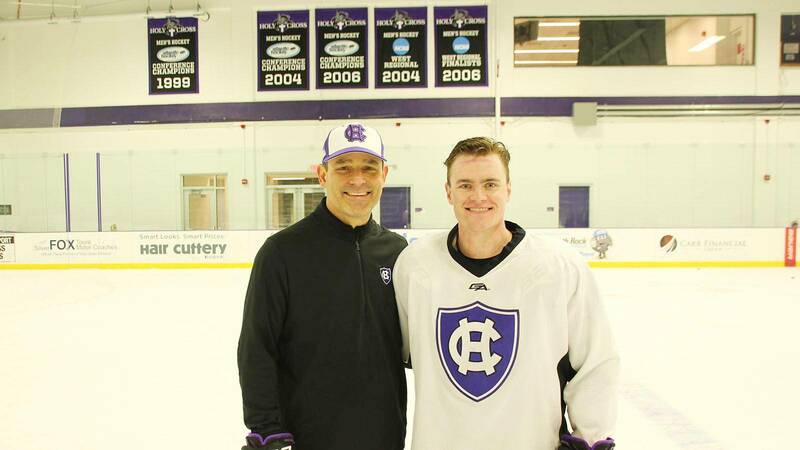 The friendships he has made through playing hockey at Holy Cross will continue long after his time on the Hill. Barrett and his teammates are about to start their quest for the program’s third Atlantic Hockey Championship. The Crusaders (14-13-7, 11-10-7 AHC) are the fifth seed and will play at fourth seed Robert Morris (19-11-4, 15-10-3) on March 10-12 in a best two-out-of-three Atlantic Hockey quarterfinal series. The winner will advance to the semifinal round in Rochester, N.Y. on March 17. 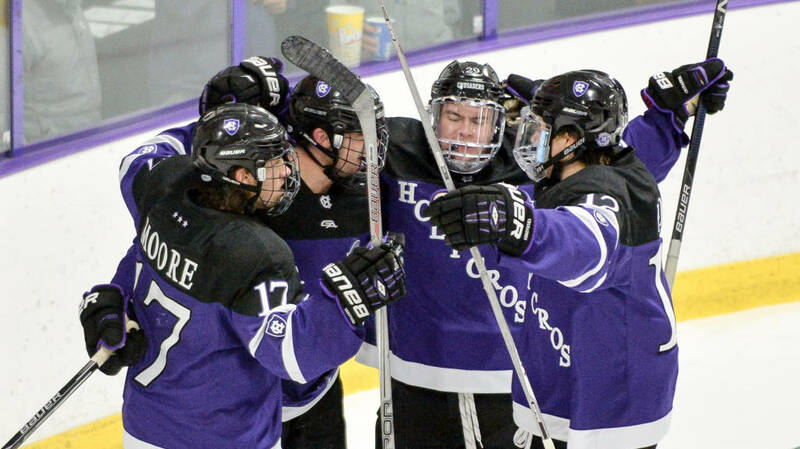 To follow the Holy Cross men’s hockey team in the playoffs, follow the Crusaders on Twitter @HCrossMHockey, Facebook and Instagram.